BHIM is a light weight application and is very simple to use. When installing first time a sms will be send to verify your mobile number. Unlike many other UPI apps, this app provides users with an option to select the sim if the phone is dual sim. Some other UPI apps require you to put the bank linked sim card in primary slot. To use this app your mobile number should already be linked with your bank account. 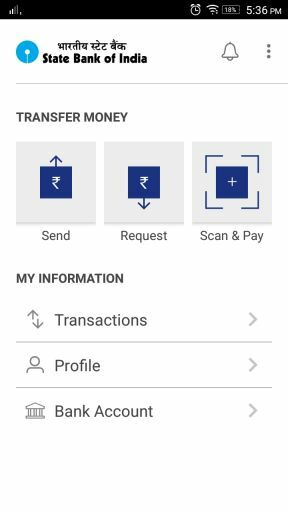 Then the app will automatically get your bank details, you just need to set your UPI MPIN for each bank account to start using it. By default your vpa address from this app is YourMobileNumber@upi but there is an option to get yourname@upi .if no one has taken that name yet, you can install this app and take it. Or else you will be getting yourname1 or other forms of @upi address.